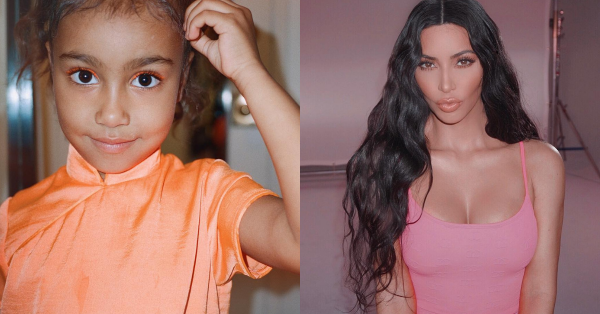 Sorry Kim, We're Taking Makeup Tips From North West Now! Keeping up with the Kardashians and all the drama that comes with the family name might not be for everyone. But if there's one thing the entire family gets absolutely right it's beauty and fashion. Looking to emulate a hot new celebrity trend? Head right over to the Kardashian clan's social media pages for some inspiration. If there's a hot, new, absolutely crazy trend (that you've JUST heard of), chances are the Kardashians have already slain in it and made millions doing so! But, the hottest Kardashian on the block today isn't Kim, Kylie or even Kendall. She's half Kardashian, half West, and 100% adorable - yep, it's North West. After her budding career in fashion, Kim turned into quite the beauty mogul. Her passion for all things beauty translated into a phenomenal makeup line that goes by the name of KKW Beauty. It's no surprise then that her daughter North West has become quite the little influencer herself. In a recent photo posted by Kim, North is seen wearing a bright orange eyeliner across her lids. It reminded me of Kylie's summer collection. And as it turns out, this looks pretty amazing on the lids! Sorry, Kim, I think we're all going to take makeup tips from North now. I've also found an amazing trick to get the perfect orange line on your eyelids, it's using liquid lipstick as eyeliner! If you own an orange lipstick or even an orange eyeshadow, just use it as eyeliner and you'll be amazed at how this simple tip brightens up an otherwise boring outfit!